We will start off with the straight ahead rolls. 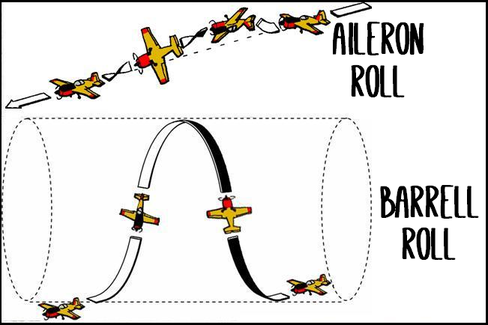 Aileron roll is straight ahead 360deg roll with min loss of altitude. Barrel roll is straight ahead but rolls around a point in a barrel as above.